If you are looking for the Love and Peas that is NOT sugar-free, click here. Overwhelmed? 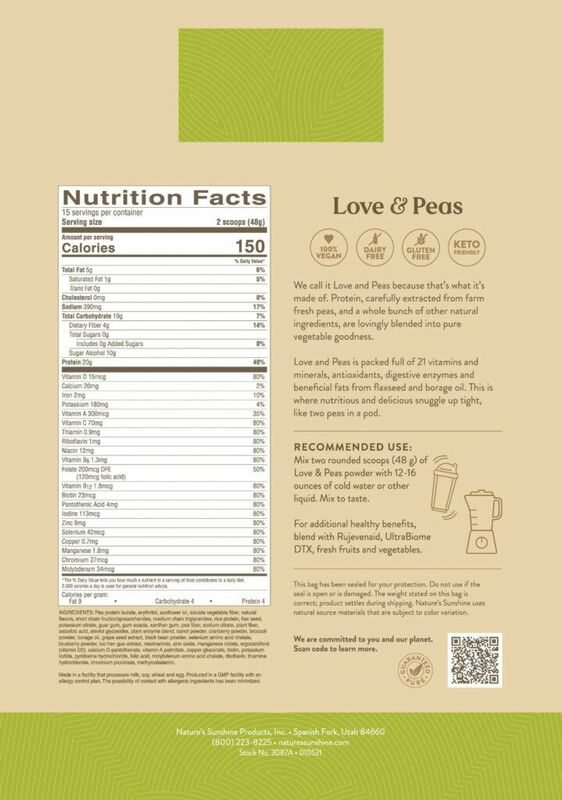 Compare all Nature's Sunshine protein powders with this handy chart. 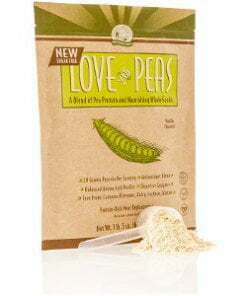 Nature’s Sunshine Love and Peas, Sugar Free provides a convenient, sugar-free source of vegetable protein to supplement the vegetarian diet. The formula contains zero grams of sugar and features natural sweeteners, including luo han (monk fruit) and stevia. 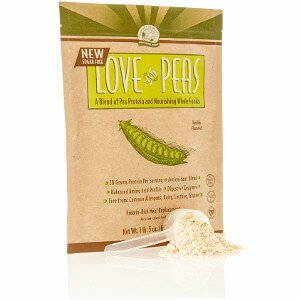 Love and Peas, Sugar Free includes 20 grams of vegetable protein per serving and 70 percent or more daily value of 18 essential vitamins and minerals. 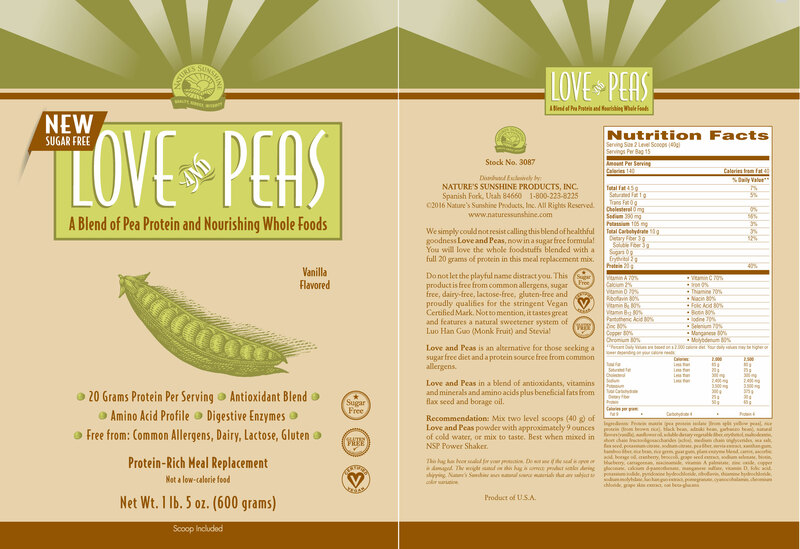 The formula is allergen, dairy, lactose, and gluten free and is certified vegan.